22 January 2019Brrr! It's Cold Out! Are You On Top Of Your Hydration? Health conscious individuals are aware of the importance of staying hydrated and yet during the cold winter months can easily find themselves battling a few extra barriers to staying on top of hydration. It is just as important to stay hydrated in the winter as in the summer. Here are some tips to make winter hydration that much easier. In cold weather we actually lose more fluids through expiratory loses. 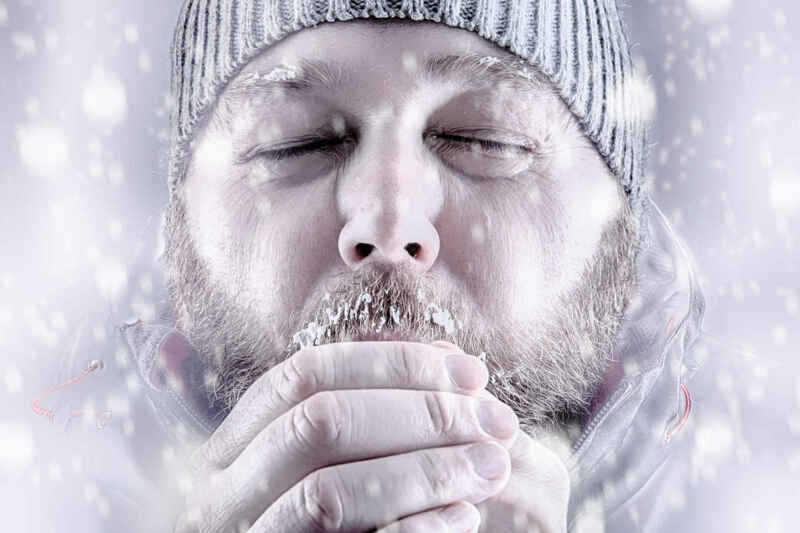 When we breathe in cold air and can see our breath, that's a signal that we are losing moisture from our body. When exercising outside in the elements (think Nordic skiing, fat biking, snow shoeing, running) hydration demands increase from exertion and breathing the cold air. The body's thirst mechanism is a natural reminder to consume more liquids. And yet for many individuals when it is colder outside, they tend to go for longer periods without water because they don't feel thirsty. Lack of thirst may then translate to a behavioral shift in the winter, such as not keeping water or other liquids handy. During the summer months or times of warmer temperatures, our body sweats as a way to cool the skin and also provides a reminder to rehydrate. In the winter, without this visual reminder we may not remember to drink. If you are forgetting to drink your fluids consider setting a "custom reminder" to remind yourself to hydrate. You can set up custom reminders on the MND iPhone or Android app by going to Settings, then Virtual Coach. This feature is accessible with maximum membership. Start your day with a large cup of water. Many clients I have worked with over the years find if they drink a cup of water in the morning BEFORE they drink coffee or tea, it helps them meet their hydration goal instead of waiting until hours later when they begin to feel thirsty. Eat a diet rich in vegetables. Vegetables are full of water. Consuming veggies such as celery, lettuce, cucumber, zucchini, radish, tomato, cabbage will help keep you hydrated without adding too many calories. If you don't care for the taste of plain water experiment with fruit infused water. Chop up some fruit and add these chunks to a large pitcher of water for a refreshing beverage. Try some herbal tea. Here's a DIY Herbal Tea from Allrecipes. It has 1 tablespoon of honey in the recipe for an entire quart of water. This translates to 2g of carbs for an 8 oz cup. Try soup for lunch. Low sodium, broth-based soups make for a comforting meal. Having some soup for lunch will help to fill you up with a low calorie item and meet your hydration needs. Convenience is key. Carry a water bottle or thermos of a low calorie beverage with you. Keeping healthy beverages conveniently located will make it easier to stay on top of your hydration. How Healthy is Your Water Beverage?